Moving your office from A to B, is a complex process, which requires sufficient technical expertise and a certain level of professionalism. But why? First of all, office removals must be completed successfully within the specified amount of time, without costly delays or unexpected setbacks. Second of all, a full scale office removal can quickly spiral out of control in terms of costs, and leave your company budget in tatters, which also must be avoided at all cost. Last but not least, your expensive office contents and delicate electronics and computers must be free of damage, and all accounted for, at the end of the day. All this goes to show how demanding and specific office relocations really are, and how invaluable it is to have secured the services of the right moving company. e guarantee to complete the entire removal from start to end safely and within the specified amount of time. Since we provide absolutely risk-free office removals in Eastcote, we will do the packing, securing and loading of your office contents. Our diligent and well organised teams, made up of qualified, highly skilled moving professionals will ensure safe handling and damage-free transportation of your items from A to B. We can organise a cost effective, swift transportation of your office contents, as we own and operate a fleet of cargo vehicles of different load capacity. This means that we don’t have to shuttle back and forth between the two locations, as we always have the right vehicle for the job at our disposal. Customers who are looking for genuine value for money office removal services in Eastcote have come to the right place, as we offer the most competitive service prices and provide customers with the desired cost efficiency every time, no matter how basic or elaborate your office removal. 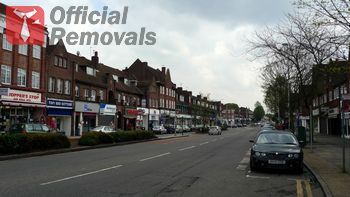 Our Eastcote office removals are available for booking seven days a week, under flexible and convenient service hours, which work around your schedule and daily business commitments.